The following is an abridged & edited version of Dr. Ezrin’s ANTEC® 2014 tutorial paper, “Trends in Failure of Synthetic Polymers and Human Biopolymers”; his tutorial is scheduled for Tues., Apr. 29, at 10 a.m., in Failure Analysis and Prevention session T10. Some trends in failure are due to errors of design or bad judgment... and some people in plastics have practically no background in plastics science and technology. This may lead to failure due to bad choices in design, processing, or material. Some recent examples are given below. 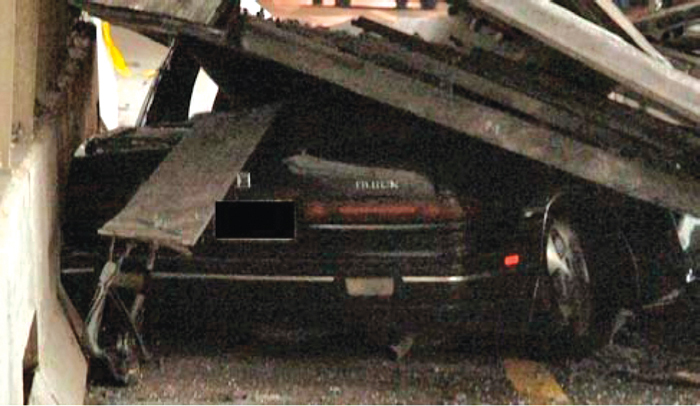 Here, the adhesive was to keep anchor bolts in a tunnel ceiling from becoming dislodged, and its failure caused a concrete suspended ceiling to fall on a car going through the tunnel and killing a passenger (Figure 1). The adhesive used was a bad choice; it had too low a degree of crosslinking. The supplier was accused of involuntary manslaughter because they knew that another would adhere better. The charge was dropped in the final settlement. An adhesive choice had been made without the benefit of a qualified specialist. 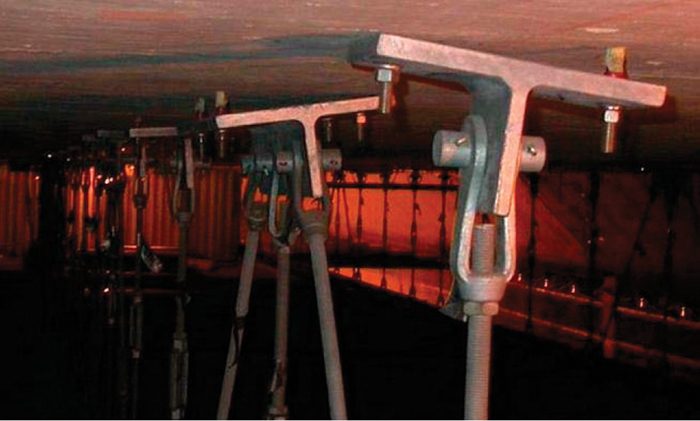 Another error of bad judgment was not to take appropriate action when anchor bolts were found to be loose on inspection (Figure 2). This is unforgivable for a construction engineer. The people responsible were fined heavily, but that cannot compensate for the loss of life. And why was heavy concrete used for the suspended ceiling? That contributed to the loosening of the anchor bolts and to the severity of the damage when the ceiling fell. Fentanyl is a narcotic pain medicine; in high doses it causes death. A transdermal plastic pouch was attached to a patient’s arm. Leakage occurred at the fold of the patch which sealed it, and the patient died. Possibly the material and/or design was inadequate for the application. A matter of judgment was the failure to take into account the hazard of death if there was leakage. Was testing severe enough to detect how leakage might occur? Amounts awarded in related trials have been on the order of $500,000-$1,000,000. Installation problems, such as easy kinking of low-diameter pipe and fitting connections, may be even more damaging than oxidative degradation. In any case, high water pressure is present all the time, whatever causes failure. Water damage to property can be of the order of $100,000. In one case, Shell Co., a manufacturer of PB, settled a class action suit for about two billion dollars. As in the fentanyl case, judgment may have been involved in not taking into account the damage that can occur on failure. Whether oxidative degradation or installation was the main cause of failure, the propensity of tertiary carbons to become free radicals is a hard fact of life for AOs to counteract. Unlike human biopolymers, which get a fresh supply of AOs every day, the supply in PB is limited to what was put in as manufactured. How long will that last under possible adverse conditions of temperature and higher-than-normal chlorine content? This case has kept lawyers busy and manufacturers unhappy, but no more unhappy than people in whose homes the nuts fractured, releasing an endless torrent of water until it is turned off. Early designs contributed to failure by placing high stress of closure tightening near weak locations of the design. The consequences of failure are the same as for PB and other applications of water service. Poor judgment may be in designs placing high stress at weak locations. Has that been realized? This case is included because the previous material was metal and plastic—and also to show that plastics people are not the only ones who make mistakes sometimes. An old and successful medical product is total hip replacement, in which a metal ball rotates in a plastic socket. The problem is that the plastic wears out and may need replacement in ten or so years. To increase lifetime and avoid painful and expensive replacement, the plastic socket was replaced with a metal one so that the unit was metal-on-metal. A great advance: a product that will not require replacement. What was overlooked by metal designers is that metal-on-metal parts moving against each other can “score”—that is, dislodge pieces of metal which can enter bones and the blood stream and cause serious and painful wounds. The number of such failures is so great that there is a class-action suit against the manufacturer. High chromium and cobalt blood levels have been detected; the condition has been referred to as “profound poisoning.” The greatest tragedy is the suffering caused to unsuspecting patients and those who probably have to undergo operations to remove the metal and replace it with the “good old reliable plastic.” Plastics people are not the only ones who create terrible problems. What may have blindsided the metals people is the “Holy Grail” of hip replacements that last forever. No matter how attractive a goal is, it must pass the test of reason and safety. The U.S. Food and Drug Administration has been criticized for approving the metal-metal hip replacement without requiring clinical trials. Approval was on the basis of “substantial equivalence” of earlier devices. Recently there have been cases of failure of major electrical appliances such as dishwashers. Some cases caused fires of nearby wood cabinets, and whole houses. The cause in many cases starts with failure of a metal-encased switch relay on a printed circuit board (PCB). 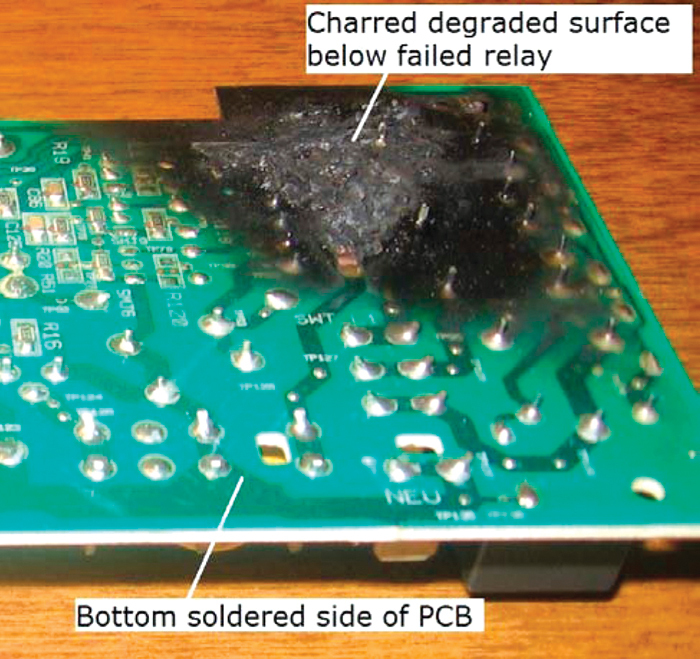 It applies dangerously high voltage to the PCB, causing the resin to degrade and overheat. In a dishwasher case, the noise of the relay failing was heard and smoke was smelled. The homeowner promptly turned off the dishwasher and no further damage was done. Figure 4 shows the black degradation of a part of the PCB near the failed switch. This occurred in just a few minutes. Had it gone on further, undetected at night, the kitchen might have caught fire. The overall design of the PCB and the attached electrical units, such as the switch relay, is at fault. Plastics are at the mercy of devices that become dangerous when they fail. Plastics designers need to be alert to such problems. Also, non-plastic electrical device manufacturers need to change designs and materials so that if failure occurs, uncontrolled high voltage is not present. The dishwasher failure is not an isolated incident. Such cases have occurred in great numbers and in different countries. Automatically turning off the high voltage when an electrical component fails may be a not-so-complicated design change. For plastics, methods such as micro IR (infrared) spectroscopy, XPS (x-ray photoelectron spectroscopy), SEM/EDX (scanning electron microscopy/energy dispersive x-ray spectroscopy), and others have helped solve problems of polymer composition and contamination for years. A relatively new method is TD/GC/MS (thermal desorption/gas chromatography/mass spectroscopy), used extensively at the University of Connecticut’s Institute of Materials Science. The key to the method is the thermal desorption device, the means of thermally releasing volatile or semi-volatile materials into a GC/MS. Compounds separated by the GC are identified by the MS, even if only a small part of a compound gets to the GC/MS. Relatively non-volatile compounds, such as plasticizers and flame retardants, can be identified. The author has solved many failures with TD/GC/MS. Examples are a blistered neoprene cable jacket (the blisters were caused by agricultural spraying of a farm field where the cable lay) and failure to bond of parts that had been stored on a factory floor (hydrocarbons in the air accumulated on the surface, preventing adhesion). And a form of the method responds to a single selected ion: sensitivity is greatly enhanced over multiple ion detection. In a case of unauthorized change of plasticizer, the change was identified by the method. A large military contract was jeopardized because of the unauthorized change. The TD/GC/MS identification of the unauthorized plasticizer helped protect the contract. Failures of plastics continue to occur due to lack of knowledge or to poor judgment. Boston’s “Big Dig” fatal epoxy adhesive failure and the fentanyl narcotic pain patch are examples. Failures initiated by free radicals occur with different types of polymers. PB water distribution pipe is an example for synthetic polymers. Proper choice of antioxidants can limit damage. Failure in which water or gas flows uncontrolled may lead to property damage or personal injury. Hip replacements of metal ball and metal socket, expected to be a major improvement over metal/plastic designs, failed badly because of metal contamination of bone and blood. A major class action suit is underway. Electrical failure of relay switches on printed circuit boards places high voltage on PCBs, causing thermal degradation and fires. Thermal desorption gas chromatography mass spectroscopy (TD/GC/MS) is a recent analytical method that has solved many failures. Ezrin, M., Plastics Failure Guide: Cause and Prevention, 2nd ed., 2013, Hanser, Munich. 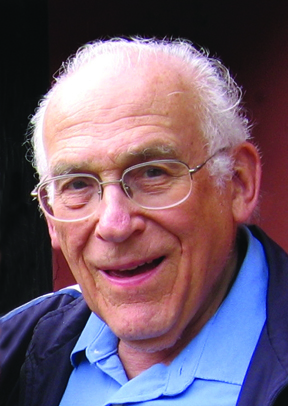 Dr. Myer Ezrin retired from the University of Connecticut’s Institute of Materials Science in 2006 after 55 years in industry and academia, mainly in plastics failure analysis. In 2013 he wrote a second edition of Plastics Failure Guide: Cause and Prevention (Hanser, 2013), which covers the failure of human biopolymers as well as synthetic polymers due to unacceptable health effects. He can be reached via mezrin80@comcast.net.